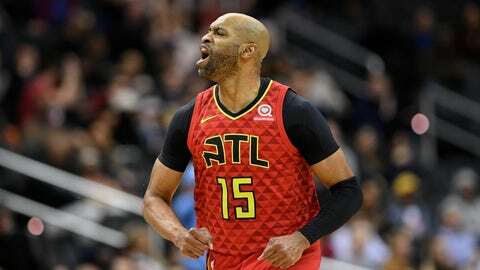 ATLANTA – Atlanta Hawks swingman and 20-year NBA veteran Vince Carter will make his Hawks broadcasting debut tonight, April 3, when he joins Bob Rathbun and Dominique Wilkins on FOX Sports Southeast and FOX Sports GO to call Atlanta’s matchup against the Philadelphia 76ers. Coverage will begin at 7:00 p.m. ET with Hawks LIVE; channel listings can be found here. Carter, in his 21st professional season, has previously provided in-season television broadcast analysis during stints with the Memphis Grizzlies, Dallas Mavericks and Sacramento Kings. In past off seasons, Carter has called games at NBA Summer League, and most recently, he delivered color commentary at last summer’s inaugural Jr. NBA World Championship.